Otavalo, capital of Otavalo Canton, is a largely indigenous town in the Imbabura Province of Ecuador. The town has about 90,000 inhabitants and is surrounded by the peaks of Imbabura (4,630 metres (15,190 ft)), Cotacachi (4,995 metres (16,388 ft)), and Mojanda volcanoes. The indigenous Otavaleños are famous for weaving textiles, usually made of wool (that is sometimes as black as a raven), which are sold at the famous Saturday market. Although the largest market is on Saturday, there is a very wide range of wares available throughout the week in the Plaza de los Ponchos, and the many local shops. 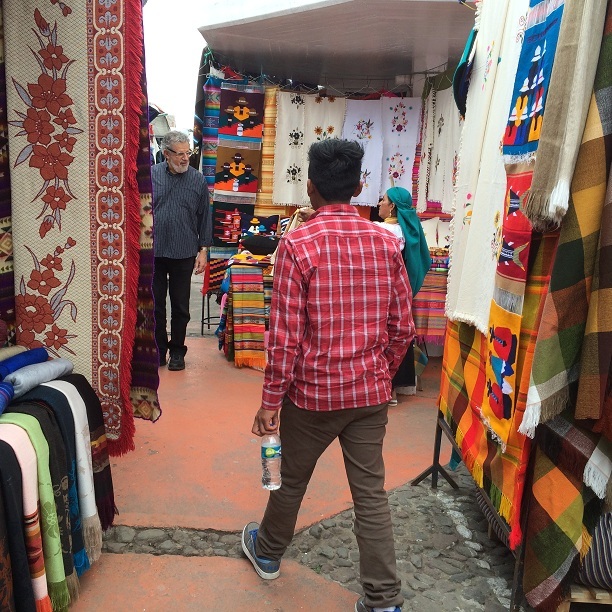 The shops sell textiles such as handmade blankets, tablecloths, and much more. 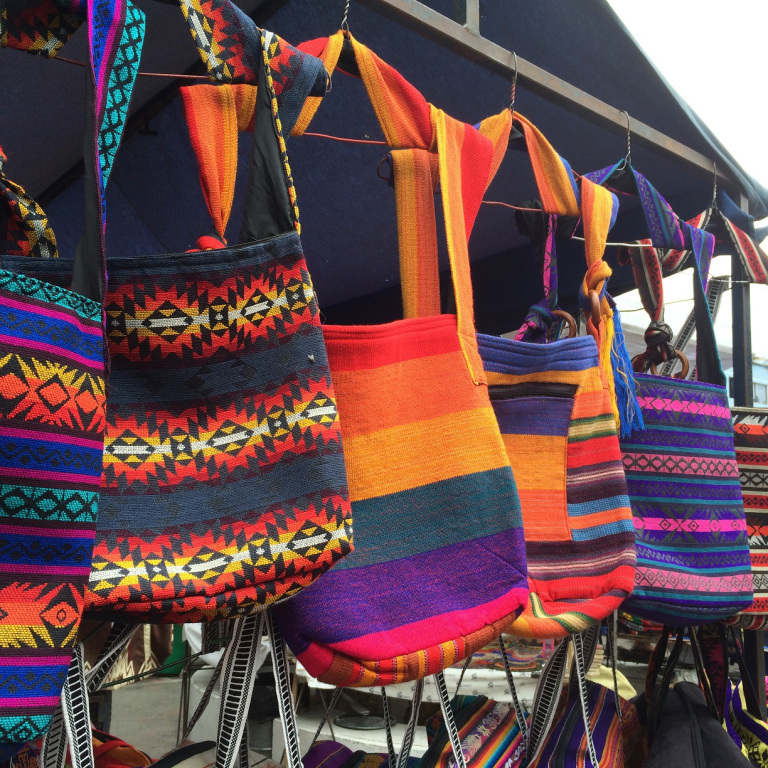 Discover the beautiful and unique Otavalo indigenous market with us. Located north of Quito, this is one of the biggest indigenous markets in Latin America. Here, thousands of merchants gather to sell their products, including handmade fabrics, embroidered blouses and shirts, and the famous woven alpaca ponchos, mittens and hats. Bursting with a million colors, sounds, and memorable characters, the Otavalo market is without a doubt a must-visit place in Ecuador. Otavalo Market Discover the beautiful and unique Otavalo indigenous market with us. 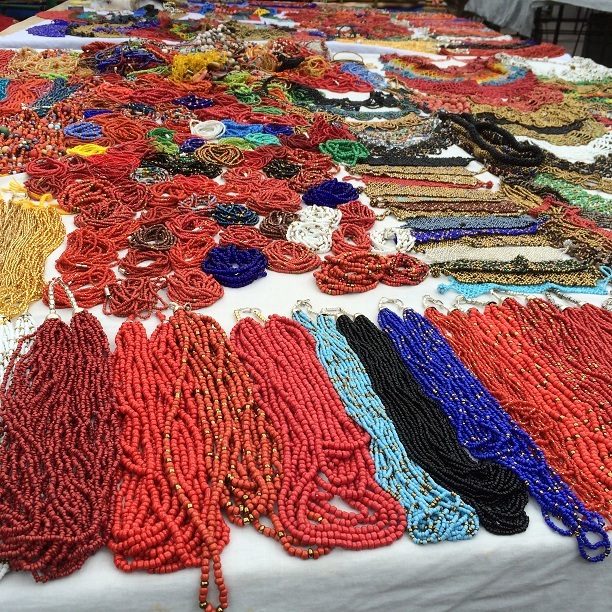 Located north of Quito, this is one of the biggest indigenous markets in Latin America. Here, thousands of merchants gather to sell their products, including handmade fabrics, embroidered blouses and shirts, and the famous woven alpaca ponchos, mittens and hats. Bursting with a million colors, sounds, and memorable characters, the Otavalo market is without a doubt a must-visit place in Ecuador. Our tour starts off early in the morning, when your guide and driver pick you up to start your tour heading north from Quito. On the way, you might be able to see Cayambe. This 4,690 m (15,387 ft) volcano towers over the Andes and is the highest point on the Equator in the world; it was also a sacred place for the locals. We will stop for a moment in the town of Cayambe to sample the traditional biscochos, a delectable local pastry traditional to the area that is served with cheese or dulce de leche (another local specialty). Continuing our journey north, we will arrive at the local market of Otavalo. On Saturdays, this market extends throughout the entire city of Otavalo, while on the other days of the week, you will find the Plaza de los Ponchos filled with indigenous merchants that bring their products from all over the Andes to sell them here. 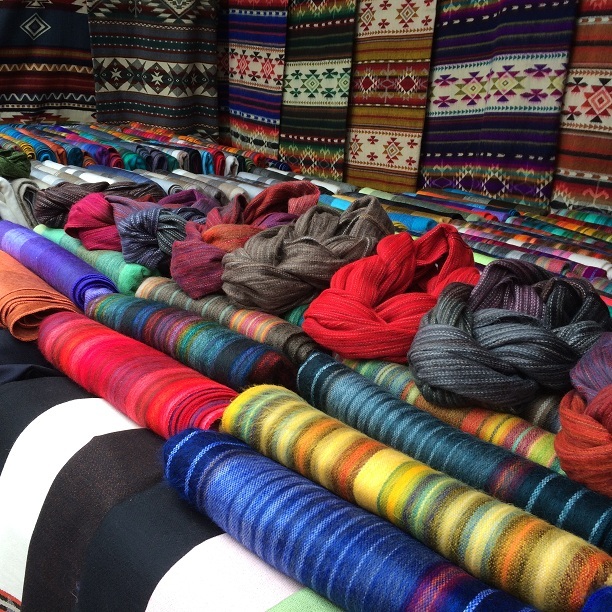 Practice your bargaining skills with locals, and share a nice moment with them; find an authentic alpaca poncho to call your own; or appreciate the vibrant tapestries or the famous embroidered Zuleta blouses. Enjoy the delicate and delicious local cuisine at one of the traditional, local indigena Restaurant and then continue your tour at Cotacachi and Cuicocha. First, we will visit the sacred lake of Cuicocha. A unique and marvelous site, this lake is set within the crater of an active volcano. In the center, two small islands breach the water’s surface. Marvel at the tranquility and splendor of this magical place. Finally, we will visit the town of Cotacachi, a picturesque town where most of its inhabitants are dedicated to the leather industry; shoes, boots, purses, jackets, and many other beautiful clothes can be found here, so take a stroll along the main street, and do some shopping. Afterwards, we will return to Otavalo city.